An interview with O’Reilly author’s Peter Krogh, Derrick Story, and Mikkel Alaand about the current state of digital photography. Listen in as we discuss DAM (Digital Assets Managements), the RAW file format used by most professional & serious photographers, and a starting point for photographers just beginning to work with digital cameras. 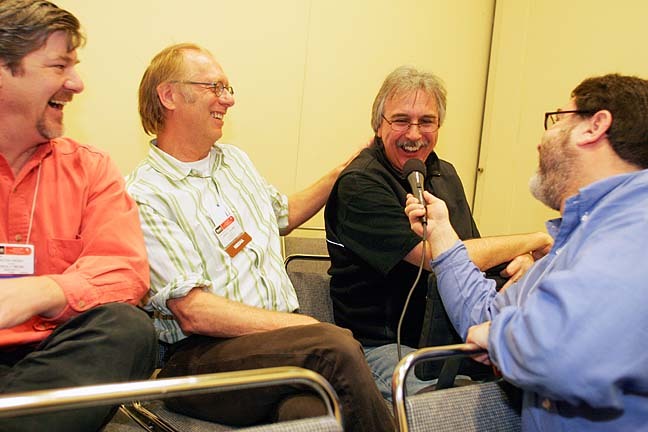 Recorded at MacWorld San Francisco in January 2006 by Harris Fogel.